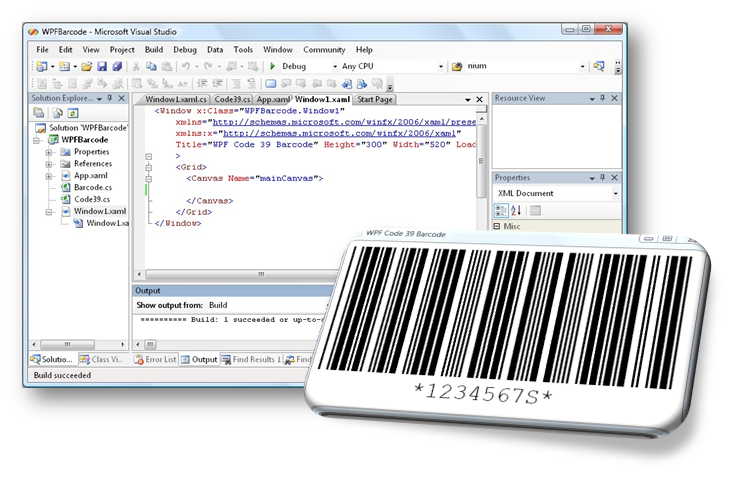 My Barcode Software creates Code 39 barcodes and save them as Portable Network Graphics (PNG) image files. The software features an extremely easy user interface where the user simply types in the Data to encode and click the Save button to generate the barcode image file. The image file can be inserted to a thirdy party editor to be printed out and scanned by a barcode reader.